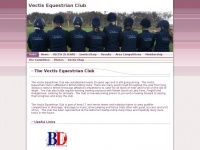 The Vectis Equestrian Club on the Isle of Wight. Area 17. Holds events for riders of all levels. BD Competitions. Affiliated to British Riding Clubs. The websites creator or author is Sally McIntosh.